We are excited to present a collaboration with Shena Grigor of Mad Dog Yoga sessions to explore elements of the practice of AcroYoga and acrobatic balancing. We will take you on a journey to explore the unfolding limitless potential of human collaboration. Explore the creative combinations of working as a three. There is an added dimension to working as a three or more; the ability to listen and absorb in order to collaborate are some of the key qualities to successful trio or group balancing. This workshop is open to everyone with a body awareness and practice. We will develop our spotting skills to support each trick and will learn that the groups success depends on the active inclusion and participation of everyone in the group. The material covered is drawn from European Acrobatics. 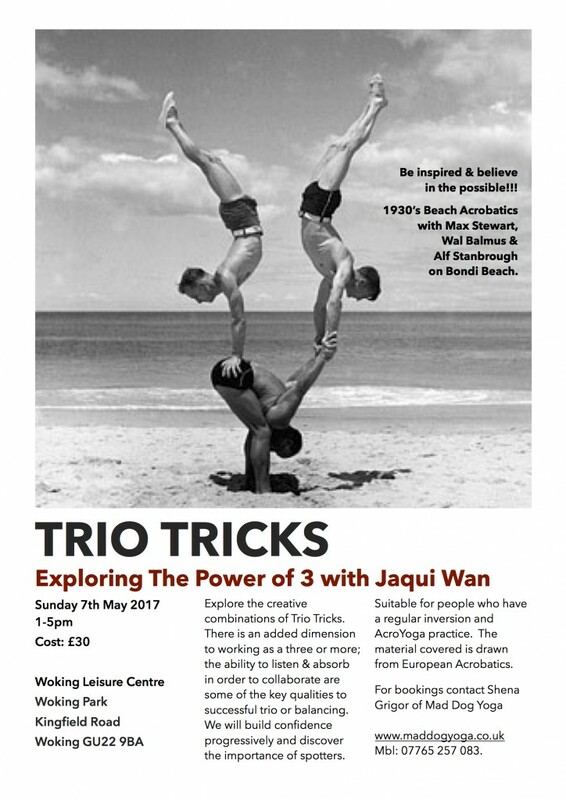 Open to all with some form of AcroYoga and acrobatic practice. 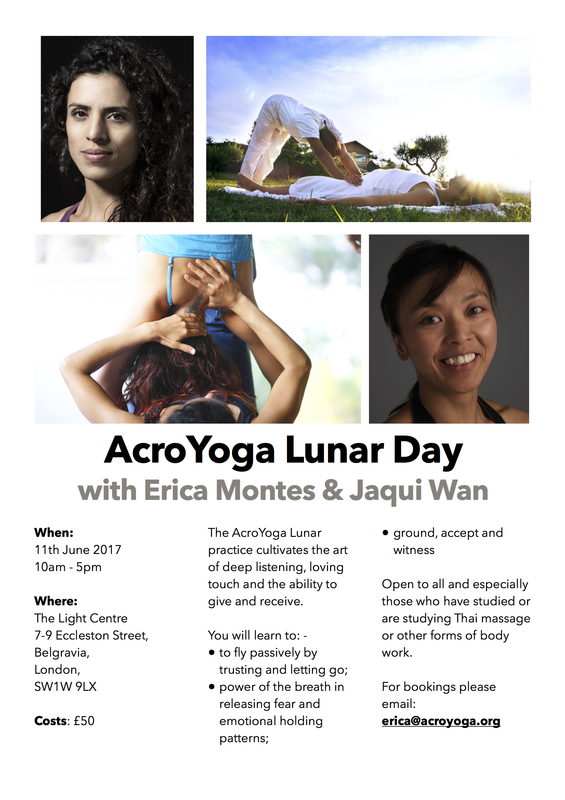 Share the AcroYoga Lunar practice that cultivates the art of deep listening, loving touch and the ability to give and receive. Cancellations 7 or more days prior to start date of the event will be issued a refund less an administrative fee of £10.